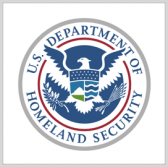 The Office of Cybersecurity and Communications within the Department of Homeland Security‘s National Protection and Programs Directorate will host an industry day to discuss cybersecurity efforts, goals and industry partnerships. The event will take place August 16 and seek to establish effective communication with the cybersecurity industry, DHS said Wednesday in a FedBizOpps notice. Discussions will cover a technical roadmap; cloud migration; the evolution of government internet domain security; updates on the Continuous Diagnostics and Mitigation program; election security; and automation and orchestration. CS&C will begin the event with a general session, then continue with three breakout sessions. DHS asks that companies only send up to two representatives to the event.